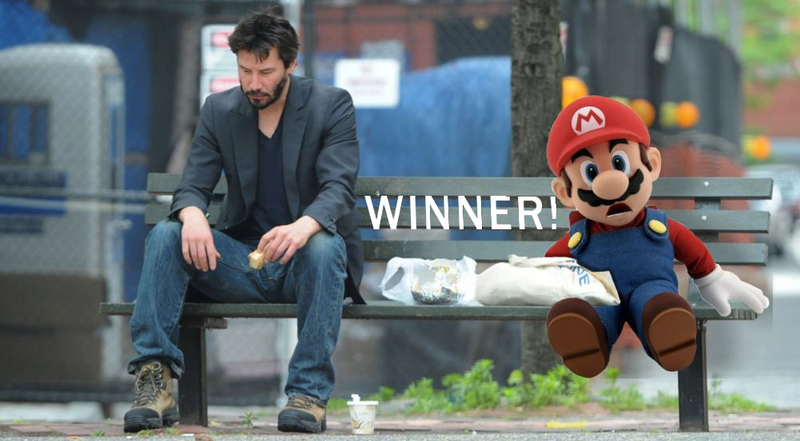 Kotaku 'Shop Contest: Midnight Mario, Winners! We started this contest with a much darker vision of life in New Donk City for Mario, but thanks to this week’s winner, we can end it on a much brighter one. The winner for this week is Ihsus who somehow managed the unthinkable, taking a beautiful meme and making it even better, somehow, by the addition of Mario. It’s hard enough moving to a new place, especially when you’re barely more than two fee tall, apparently. That’s why it’s important to make friends quickly, and who better to show Mario the ropes of New Donk City than Mr. John Wick himself. The rest of you did a pretty great job too! barhat518 with an amazing runner-up. sciteach with an homage to one of my all-time favorite movies. Curryrider dreams up a movie I would totally never watch. toolsoldier lays on the filters. Vinyourg has the call back. cecil_banon is tired of Mario being for kids. PunditGuy has me wondering if by the end of Odyssey Mario will exist at all. Mrichston is digging Mario’s new pad. Slackar goes Home Alone 2. Orionsangel with some stellar vapor trails. DamienSandmanOvertime just wants to see Mario save toads from being packaged into delicious soft drinks. Bob imagining some of the other vigilantes Mario is sure to run into. Juuni shows there a right time and a wrong time to move to a new city. GLLong76 sticks Mario right in the middle of a classic groove. VitriolicShampoo reminds us that Mario might not be used to the city’s more stringent stop and frisk policies. barhat518 gives us posh af Mario on his work commute. bravefencermusashi with another stellar Home Alone 2 reference. 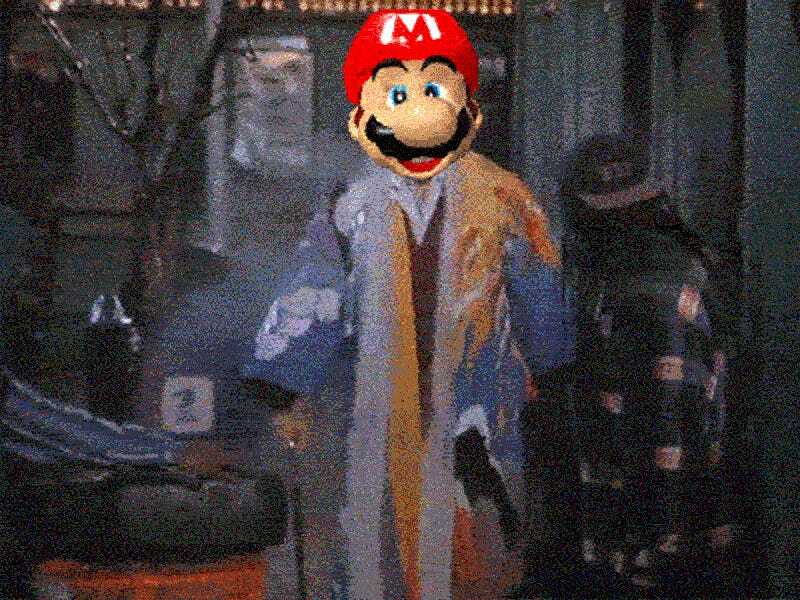 offensivename doesn’t think there’s room enough in New Donk City for more than two really bad plumbers. And finally, KnightHawk284 sends Mario back to a less welcoming time in the Big Apple’s history.